FOR THOSE WHO WERE LEFT BEHIND!!!!! Are you wondering what is going on? Where did everyone go? No, no one was abducted by aliens, no atomic bomb caused everyone to disappear. Think back to who it was that disappeared. It was the ones who BELIEVED AND TRUSTED IN ONLY JESUS CHRIST! I don’t know how long it has been for you since the disappearance of millions of people(Christians). But I’m sure the world is still in chaos and turmoil for you and the rest that were left behind. BUT THERE IS still hope for you! But you must be careful. BE VERY CAREFUL! Don’t believe everyone on the news or in the paper about some cheesy explanation of what happened. There were no UFO’S or any secret Military experiment. We disappeared because Christ took us home. It was called the “RAPTURE”. Jesus came for us in the clouds and we met him-when he called for us. It will be so much harder now, but you too can still be saved and have eternity in Heaven. DO not receive a Mark from any person who claims to be GOD! DON’T!!!! Don’t let anyone make or force one on you either-Not even a leader of a state or the Police or anyone in the Government! Don’t even let a family member try to talk you into it. 3 1/2 Years after the millions of people disappeared-their will be a smart, powerful and charming leader who will seduce the whole world. Don’t believe him! Don’t Bow to him or Honor him or anything! HE IS THE ANTICHRIST! Do not receive this mark that he will force or make EVERYONE to get……In order to survive. It’s a mark-a Tattoo or a chip(under the skin or on)…it might even be an invisible mark by a Laser. In any event-don’t take it,receive it or accept it! Without it you won’t be able to buy or sell, or save or anything. But don’t get it. If you do-You will receive Gods WRATH without measure. The Mark is 666. 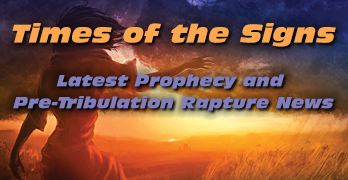 This side of the Rapture-no one really knows what that means. But, during the Tribulation period (your in it) it will become clear to what it means. If there is even the remote possibility of you going to Israel-GO! GO! GO! Find a way there. Israel will be supernaturally protected by GOD. It will be safe there. Then at the 3 ½ point. GO to Petra!!!! Please! But right now, Look for other Christians-NOW! Go find a Bible as quickly as you can! Read Daniel and Revelation. Begin praying and pray with others. GOD will give you hope and will guide you. You must put your trust and faith completely in Him. Take that little step. You will receive blessings and guidance. Also, Seek out the 144,000 sealed Jews-LISTEN TO THEM! They are SEAL by GOD himself. Your road will be long and hard, but God will guide you. Since you’re in my house reading this letter (you may have broken in) So What! You’re welcome to everything. Sell everything! Buy Gold and Silver and even diamonds. You will need them for survival. But please-whatever you do, don’t receive the Mark. If my dogs are still alive when you come in here. Please, please take care of them for me, for as long as you can. Thank you and I pray that you will trust in the Lord. I am writing this note in case you find me missing and you are Left Behind. As you know I have been a Christian for 23 years and have depended on Jesus Christ as a truly live and active God in my life. The Bible has said that Jesus would come again and claim those who believe and take them to heaven to escape the Tribulation on earth. God the Father has allowed this coming tribulation for 7 years from the signing of the Israeli peace treaty to show mankind that only Jesus can save them not only from the horrors on earth but from their sins and eternal damnation. All of you that know me, realize that God can provide for YOU, as He has for me and my family. I have many Bibles please take the time to read at lease the New Testament and through prayer ask the Holy Spirit to guide your understanding in the Name of Jesus. It is only through the blood of Christ that we can obtain forgiveness and ask for ANYTHING in Jesus’ name, as He rose from the dead and intercedes with the Father on our behalf. I have laid aside provisions as Joseph did during the Egyptian famine. If you pray over these meager supplies, I know Jesus can perform a Loaves and Fishes miracle to fill your needs and those whom you love and are in your household. May God Bless you and hold you in the palm of His hand until we meet again during the Millennial reign of Jesus Christ the King of Kings and Lord Of Lords. 'An Inconvenient Truth' by Al Gore: Jesus Christ is the Way, the only Way. No apologies for this truth, and there is nothing you can do to change it. Global Warming smells of Global Government. While it is true that we may be experiencing climate change in parts of the world, to suggest that that it is permanent or potentially catastrophic unless humans alter their behavior is absurd and is largely backed by what can only be called 'bad science'. To refute this 'theory' is to be labeled 'stupid' by the liberal media juggernaut. However, I must admit that I am amazed at the momentum building behind this unprecedented merger of environmental causes and politcal agendas.For to us a child is born, to us a son is given, and the government will be on his shoulders. And he will be called Wonderful Counselor, Mighty God, Everlasting Father, Prince of Peace. Leonardo DiCaprio's '11th Hour' champions various 'Green' evironmental causes. DiCaprio states "we're on the brink" and "the hour is near". www.vanityfair.com/politics/features/2007/05/dicaprio200705And do this, understanding the present time. 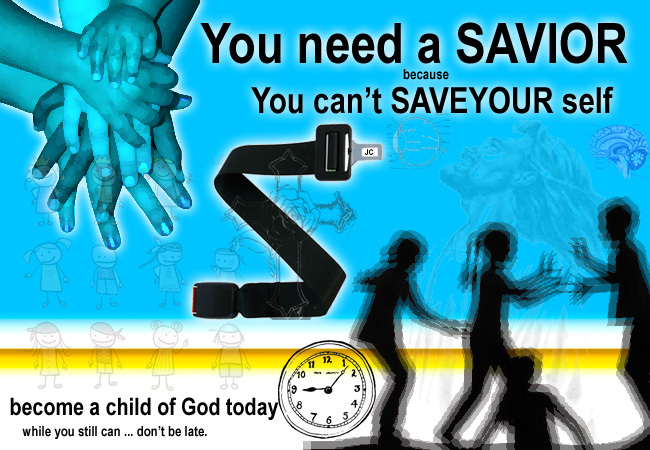 The hour has come for you to wake up from your slumber, because our salvation is nearer now than when we first believed. 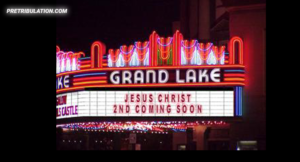 2nd COMING SOON. For more info read Revelation. "This is what the LORD declares: " 'The dead bodies of men will lie like refuse on the open field, like cut grain behind the reaper, with no one to gather them.'" 'Are We Done Yet?' starring Ice Cube: No man knows the day or the hour.No one knows about that day or hour, not even the angels in heaven, nor the Son, but only the Father. 'Black Book': Don't let your misinformed prejudices prevent you from reading the most-read book in history which leads to 'The Book of Life'.He who overcomes will, like them, be dressed in white. I will never blot out his name from the book of life, but will acknowledge his name before my Father and his angels. 'The Lookout': Watch! Be ready! "Therefore keep watch, because you do not know the day or the hour." 'After the Wedding': people will coninue as always, eating, drinking, marrying while the wedding supper of the Lamb is being prepared in Heaven.As it was in the days of Noah, so it will be at the coming of the Son of Man. For in the days before the flood, people were eating and drinking, marrying and giving in marriage, up to the day Noah entered the ark; and they knew nothing about what would happen until the flood came and took them all away. 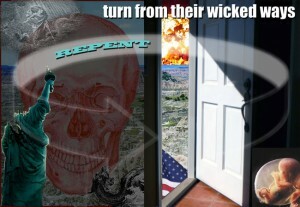 That is how it will be at the coming of the Son of Man. 'Live Free or Die': The price has been paid for your soul by the blood of Jesus…accept His free gift of eternal life or die. Choose wisely.For God so loved the world that he gave his one and only Son, that whoever believes in him shall not perish but have eternal life. Father, the time has come. Glorify your Son, that your Son may glorify you. For you granted him authority over all people that he might give eternal life to all those you have given him. For the greatest part, Hollywood continues to churn out garbage wrapped all pretty with a bow in an attempt to pass it off as entertainment or even more fashionably as urgent information for how you can help 'save the planet'. 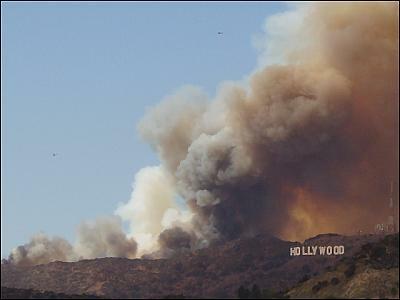 But in the end, Hollywood is going to burn like the rest of the world.